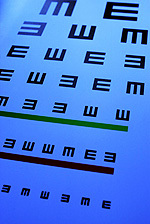 Home » What's New » Why Should I Buy Eyeglasses From My Optometrist vs. Online? Recently a trend has developed in the eyecare world to consider buying eyeglasses from online stores rather than the traditional method of ordering through your trusted eye care professional. These sites may claim that they offer “not-to-be-beat” prices and convenient to-your-door delivery, but the disadvantages of ordering online are much more significant than any apparent advantage they claim to provide. The truth is that there are many aspects of customer service and accurate filling of prescriptions in which your trusted family optometrist is far superior to any online service. Below are outlined some of the major advantages of purchasing from your trusted eyecare professional, Eagle Mountain Family Eye Care. To an online store, you are a faceless consumer. 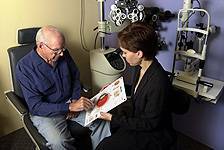 To Eagle Mountain Family Eye Care, you are a patient in our care. The aim of the online store is to sell you a product. The aim of your optician is to help you look and see your best, and safeguard your long term eye health and visual comfort. Part of fulfilling this role is maintaining a personal relationship with each and every patient. The same cannot be said about online retailers. We go to great lengths not only to measure your exact prescription, but also to take into consideration things such as your face shape, the way your lenses will look and feel with certain frames, and what size and type of frame will be most comfortable and provide you with the best vision. Your optician will also consider where each type of frame will sit on your face, which influences what part of the lens your eyes will be looking through. This is especially important with bifocals, in which an improper positioning of the lens in front of the eye can make proper viewing through the different vision zones especially difficult or impossible. For more information, contact our office in Fort Worth today!